Shortly after Canada’s first Indigenous justice minister and attorney general was moved into the less prestigious position of veterans affairs minister, Jody Wilson-Raybould took the unusual step issuing a public defence of her performance. Shortly after Canada's first Indigenous justice minister and attorney general was moved into the less prestigious position of veterans affairs minister, Jody Wilson-Raybould took the unusual step of issuing a public defence of her performance. That defence came in the form of a 2,000-word post on her MP website in which she lays out her approach to her former job, her legislative and even non-legislative achievements while holding one of Canada's top cabinet positions. She says she has been asked why she is no longer in her former job, but offers no direct explanation of the reasons. "In our system, decisions regarding the appointment of cabinet ministers are the prerogative of the prime minister," she said in the statement. While Wilson-Raybould did not explain her exit, several cabinet colleagues, political staffers and some public servants have told CBC News they found her difficult to deal with. Some who spoke on background said she could be dismissive and quick to leap to confrontation when a more constructive approach to policy differences might have been employed. Her supporters said she wasn't hesitant to push back when she was confronted with policy she thought was wrong-headed. It is a personality trait she did not try to hide in her public statement. "It has always been my view that the attorney general of Canada must be non-partisan, more transparent in the principles that are the basis of decisions, and, in this respect, always willing to speak truth to power," she said. "This is how I served throughout my tenure in that role." A senior government official told CBC News that Wilson-Raybould would not have been moved from Justice if not for former treasury board president Scott Brison's retirement last week. "She left her dream job to do a tough job because the prime minister asked her to," the official said. 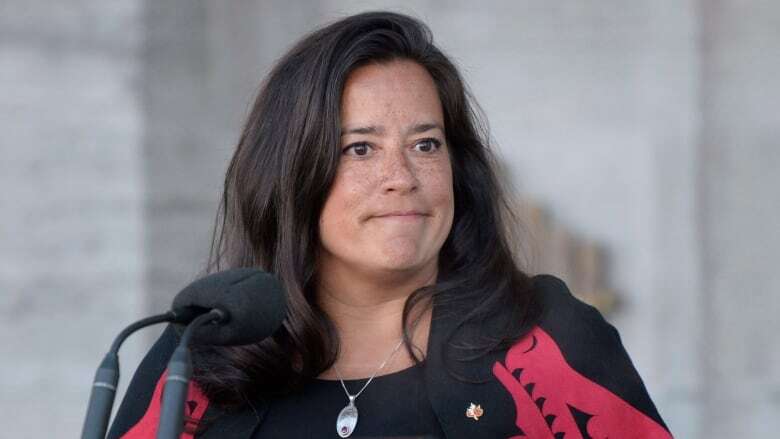 Wilson-Raybould was on a beach in Bali with her husband when she was told early last week that she was being removed from Justice. A source with knowledge of the situation told CBC News that she was offered Indigenous Services but turned it down flat. The source said she sees herself as an expert in the domain but was more interested in the Crown-Indigenous relationship and had no interest in service delivery — so she ended up with service delivery for veterans. Wilson-Raybould wrote the statement listing her achievements, approach and pledge to continue pushing for reconciliation without the help of aides. "As a member of cabinet, I will continue to be directly engaged in advocating for and advancing the fundamental shifts in relations with Indigenous peoples that are required and will continue to work with my colleagues and to ensure my voice is heard," she said. Sources say her advocacy for progress on the reconciliation file exposed her frustration with the Trudeau government's approach to Indigenous policy. "There has been a growing momentum for six months or so where the minister of justice seems to have decided that she was going to be true to herself and just say what she wanted to in public speeches, being pretty critical, which has, for the most part, been missed by the media, but not the Indigenous community," said Merle Alexander, a hereditary chief of Kitasoo Xai x'ais First Nation and Indigenous resources lawyer based in B.C. It is not hard to find Wilson-Raybould's frustration with her government's approach. In a Nov. 29, speech to the B.C. Leaders Gathering, which includes Premier John Horgan, his cabinet and B.C chiefs, she said transformative change, not "tinkering," is what is needed. "Thinking that good intentions, tinkering around the edges of the Indian Act, or that making increased financial investments — however significant and unprecedented — will in themselves close the gaps, is naive," she said. "Transformative change and new directions are required." While Wilson-Raybould is willing to say reconciliation will remain out of reach with current government policies, at least for now, there were many areas during her tenure as justice minister where she did say she made progress, even if those in the legal profession do not always agree. Amir Attaran, a law professor at the University of Ottawa, said Wilson-Raybould made key errors on assisted-dying legislation and changes to impaired-driving legislation that the "courts will have to clean up" for years to come. "The way that she proceeded to offer the [assisted-dying] bill and the amendments that were mandated by the Supreme Court was one of the weakest performances I've ever seen by a justice minister," he said. Attaran said Wilson-Raybould's decision not to allow people to choose an assisted death before they lose mental capacity forced them to opt to die while they still had good days left. It was a move Attaran calls unconstitutional and one he and other experts advised against when called to give evidence before the parliamentary committee examining the bill. He also said allowing police to test drivers' breath hours after they have stopped driving is flawed legal practice that will have to be resolved in the courts. Yet others who observed Wilson-Raybould navigate difficult files such as assisted dying, legalizing cannabis and revamping the Criminal Code said she did a good job of balancing the interests of all sides. "Wilson-Raybould has in my opinion dealt with some very difficult files with wisdom and at times laudable restraint, for example when she resisted well-organized public pressure, and even pressure from within caucus, on the assisted-dying file in order to try to achieve an appropriate balance of fundamental rights and interests," said Trudo Lemmens, the Scholl chair in health law and policy in the faculty of law at the University of Toronto. U of T law professor Kent Roach said he's surprised by the decision to remove Wilson-Raybould from Justice and that she was bound to face criticism from all sides on such challenging files. "I think she has an impressive record and should not be blamed for the time it has taken to get some of these bills through Parliament. Her biggest failure was not reforming mandatory minimum sentences, but that would have been a cabinet decision," he said. "I doubt such reform will occur soon given the upcoming election and concerns about looking soft on crime." Roach gave Wilson-Raybould high marks for understanding the differences between her non-partisan attorney general role and her role as justice minister, as well as being active in tabling statements defending legislation as compliant with the charter.